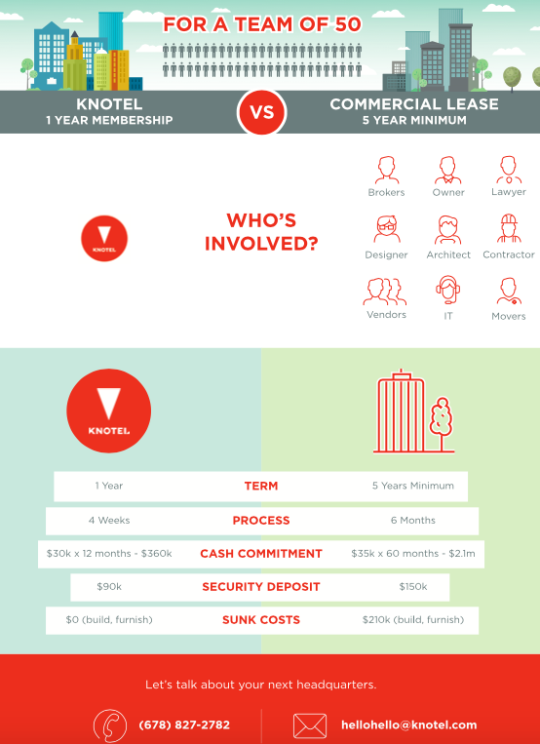 Knotel vs. Leases. No contest. 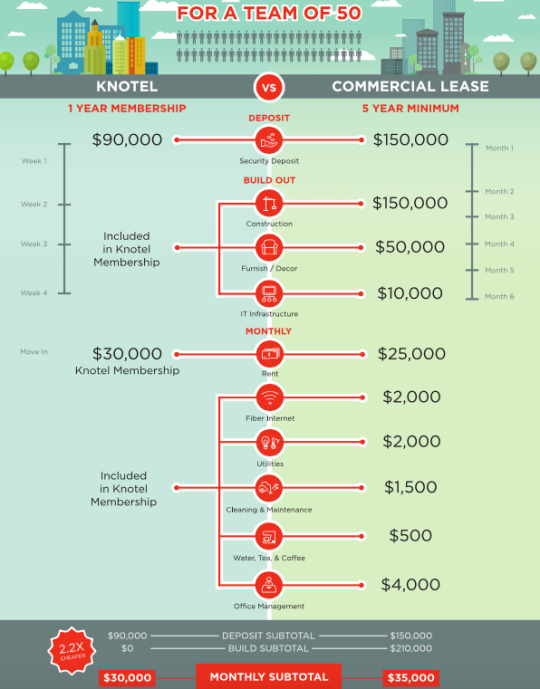 Next PostNext Knotel Vs. Leases. No Contest. Visit knotel.com to have a look at the buildings we run as HQs for great company leaders. Founders are taking on the world for the better. No need to spin cycles handling the most old-fashioned business in all creation — Knotel handles buildings to make your HQ better, faster, at less cost and so you can get back to business. Surprise. There are more than 20 Knotels around NYC. By the time you read this there may be 50. Made by Knotel HQ staff. We code.